The challenge with low CRM adoption. Is the tool to blame or the salespeople? 22% of salespeople still don't know what CRM is, and 40% continue to use informal methods like Excel sheets and email programs to store customer data. (source: HubSpot State of Inbound '16 ). Many tools have been created to help salespeople with CRM, starting with Siebel, Oracle Sales Cloud, Salesforce, Zoho CRM, SugarCRM, and much more, yet salespeople tend to log in only to update the status of their accounts. Why do salespeople hate CRM? 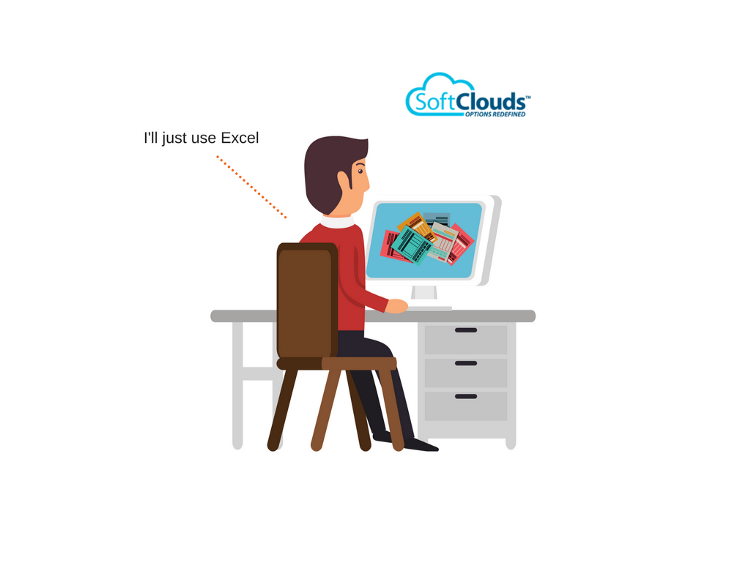 Sales people often complain about CRM systems being incompetent and complicated and how Excel was good enough for their needs. They would rather go through multiple spreadsheets than use a CRM system that opens a new window for each step. If salespeople keep going back to the spreadsheet, then the problem may not be in the CRM software but the person's resistance to change. According to Gartner, (an organization with 24 CRM analysts) a CRM vendor has little to do with success. Whether you use Salesforce, or Oracle, or IBM, Adobe, or SugarCRM, it does not matter. The vendor is probably adequate, but the likelihood of success is far more dependent on how the CRM is implemented, which limits a potential client's adoption likelihood. The most considerable obstacles to success were found to be in the lack of clearly defined CRM strategies, bad company politics, or, in most cases, cultural resistance to change. Whether at the enterprise level or in mid-market, there is a lack of fundamentals such as CRM mission, vision, and most important of all, the involvement of all stakeholders in the planning stage; all often overlooked during planning and implementation, and that is where the core problem lies when CRM adoption rates are low. Is CRM really that helpful for salespeople? CRM can accurately organize and store valuable customer data, leads, and opportunities in one place and makes it accessible across departments. Organized data helps salespeople to get to know customers and enables them to provide a high level of service for a better customer experience. It also streamlines the sales process by saving time for both the customer and the organization. CRM can automate tasks that were once done manually, such as completing and sending reports, sending an invoice, and aggregating contacts. These everyday tasks are time-consuming when done manually, but CRM automation allows sales representatives to focus on other tasks crucial to closing a sale and improving profitability. Valuable customer information like: emails, contact information, calendar and phone call details; are accessible to multiple teams. Being able to share and retrieve this information makes it easier to not only close a sale but also provide excellent customer service. It allows different teams to get accurate information simultaneously and work together to improve the sales process. Today, customers want their problems resolved faster, so finding solutions has to be prompt. CRM provides agents with a database of information, with a history of interactions with the company; including problems and solutions to common issues will enable customer service to find the right solution quickly, thereby providing customers with the correct answers in minutes and increasing customer loyalty. Who is to blame for the low CRM adoption rates? The problem lies with the person using the CRM. As with any system, CRM is not a perfect tool, however, statistics (as those mentioned above) have proven its ability to help organizations with customer retention and driving sales growth when implemented properly. To aid with CRM adoption, the end user must get proper training on how to use and make the most of CRM. 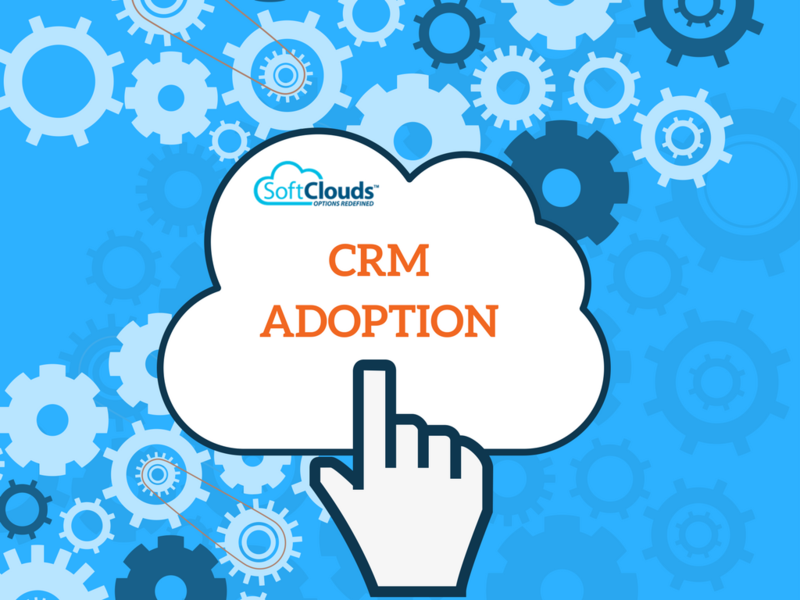 Can customization help with CRM adoption? Customization helps with CRM adoption for salespeople by enabling integration, the creation of functions, changes, and even customizing the user interface and navigation methods. It allows sales reps to manage customer relationships efficiently. Customized and streamlined CRM helps sales reps and organizations in creating a sales process that is specific to their needs, and therefore, easy to use. Another very important aspect about CRM adoption is that customization can provide sales people with a prettier, intuitive, and easier to use and UI; if CRM was as easy to use as Facebook or LinkedIn there wouldn't be as much resistance from sales people. With unlimited amounts of data that is available, as well as all the functionalities that CRM offers, it's a tool that will be integral to any organization's future to gain a competitive advantage. Integration, personalization, and having the right information will help organizations interact with a higher level of customer service. This is of utmost important in a day in age when having the best product is not enough, as customers expect that you anticipate their needs and wants, and receive them before they even ask. CRM adoption will continue to be a challenge as long as the salespeople are enabled to make it one. Nevertheless, with solutions for integrating customer service and offering cloud-based services, CRM technology will continue to grow and evolve in the years to come, but will salespeople do the same? Read 4 Trends for CRM in 2018 for more information on how CRM will evolve next year to better serve the sales people and their clients. This post was written by Brian J Friedman, SoftClouds' VP Global Strategic Sales, has a background in technology, business development, corporate management and sales. Brian has been responsible for the creation and growth of numerous companies developing successful long-term relationships that have resulted in double-digit sales growth and continuing business expansion.